Businesses want to use the platform to increase brand awareness, get insights and identify new customers. In our blog, we discuss everything you need to know about Instagram business pages. The benefits that come from these pages can be applied to the real estate market. In this blog, we will look at how you should be using your Instagram business page for real estate marketing. Prospective customers are likely to get in touch with you about your services if they have seen and been impressed by your online presence. Nowadays, only having a website with a few images of your listings may not be enough – especially in a competitive market. To be a strong contender in the real estate world ensure you have a consistent digital, visual marketing strategy that will turn your followers into satisfied customers. 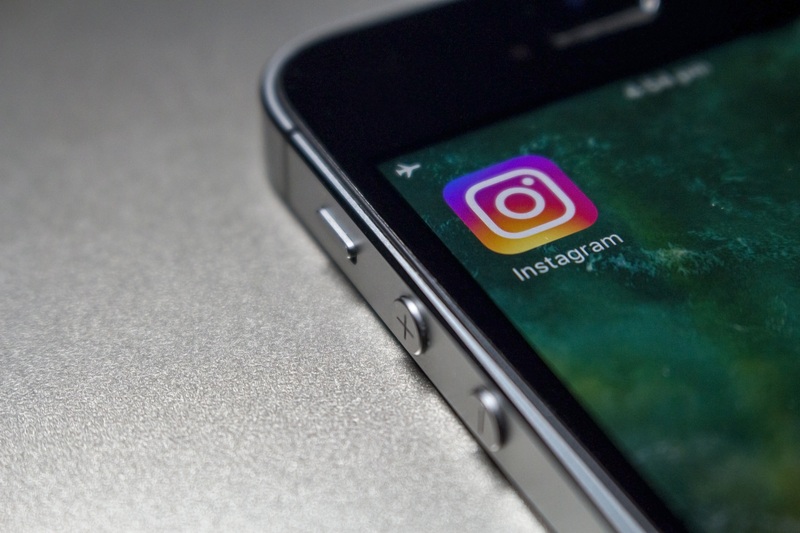 While other social networks such as Facebook and Twitter lead the way in developing real estate leads, Instagram is another increasingly popular marketing platform to take note of and include as part of your digital marketing strategy. Post photos and videos that you yourself have recorded and don’t use stock images. Fail to do so and your online as well as personal reputation could take a hit. Whenever you visit your listings make sure you take some snaps which can be added to your personal portfolio. These will come in handy and act as a backup in case you are struggling to find images to upload. Your followers are also interested in your thoughts on what’s happening in the local market. Posting images that demonstrate this will add credibility to your account, making your followers value and actively keep an eye out for your future posts. Your followers want to see high quality images. Think of what your most impressive, extraordinary listings are and ensure these are posted at prime times and have the spotlight they deserve. By consistently uploading original and exquisite real estate photography not only will you gain more likes and followers but users may also be more inclined to visit your website listed in your Instagram bio. Make sure your photos are as realistic as possible so don’t go “filter-crazy”. The last thing you want is for your followers to see your listings in real life and be confused due to being misled online. When you upload a post on Instagram make sure you share it via other social media networks as part of your consistent digital marketing strategy. Instagram is a great tool for increasing brand awareness and allowing your brand’s personality to shine through. By being natural in your posts you are more likely to attract followers who are genuinely interested in your services and will want to engage with you. Ensure your posts are related to your daily business activities. Thank users who take the time to comment on your posts. This again will benefit your online reputation. Users want to do business with companies who are relatable, pleasant to work with and Instagram is a great tool to demonstrate these attributes. Videos create twice as much engagement as photos, which is why in 2013 Instagram allowed users to upload short videos. Although Instagram has recently allowed videos to be longer in length your video posts stating your key messages should last no more than 20 seconds. Therefore, make sure you know exactly what you are saying and what the purpose of the post is before recording. For longer videos, i.e. tours of your listings and behind the scenes footage, use Facebook, Twitter, YouTube and of course your website. Be creative when using other Instagram features. You want your Instagram real estate account to be as exciting, engaging and attractive as possible. By using a variety of photos, videos and time-lapse videos you are more likely to increase your number of followers who are interested to see your future posts. Prospective clients are looking to see results. They want to work with a company who has consistently provided their customers with what they wanted. A great way to enhance your business reputation is by uploading short videos of your satisfied customers in their new homes. This provides visual recommendations of your services and hopefully your followers and future followers will become future customers. Scheduling tools such as Later or Unum ensure you upload posts consistently. It’s recommended for business accounts to upload twice daily. These tools also offer ways to analyse the performance of your posts. Regular analysis will help you assess whether using Instagram for real estate is working for you. Online tools can track follower growth, engagement levels and even recommend when the best times are for you to upload your engaging posts. Use trending and relevant hashtags to get noticed. When carrying out market research look out for keywords relevant to your specific market to use as hashtags. You should use these in moderation so as not to appear spammy. We’d love to know your thoughts on Instagram for real estate or if you have any other tips, so do get in touch with us on Facebook and Twitter, or download our online marketing for the property sector e-book.